It can be hard to find shirts that exude a sense of style without being over-the-top, uncomfortable or limited in use. Fortunately, at Christopher and Banks, we know how important it is for women to have versatile yet trendy clothes. Our collection is crafted to suit your needs, and one of our favorite shirts to serve that purpose is the tunic top. LA tunic is distinguished by its long length and loose-fitting structure that sits just below the hips. These features make it figure flattering for petite and full figured women alike. It also easily fits into a wide range of lifestyle needs. If you are looking for a work appropriate top, the tunic can pair with formal slacks and be layered under a structured jacket. If you need a patterned top that will look great on a night out, it effortlessly wears well with leggings and chic, tall boots. While tunics all share certain qualities, there are many iterations of this style. Our collection offers a variety of interesting necklines that draw attention to the face and will change the way you choose to accessorize. Our cowl neck tunics have a draping neckline that creates more volume at the top of the shirt, which can balance out an a-frame figure and create more of an hourglass shape. A half-button placket neckline suggests formality with its button up design, but remains playful, leaving little need for a necklace or scarf. Some designs have embellishments like beading that do the accessorizing for you. All of these options work well on their own or as bottom layers under cardigan sweaters and other must-haves in cooler temperatures. Many of our tunics are solid colors and serve as staples for everyday wear. We also, however, have a breadth of interesting and bold patterns that can be paired in a wide range of outfits. Our animal print tunics are stylish and eye-popping – something that will show your creative side without being over-the-top. Bright colors in abstract print designs have the same effect in less specific and familiar patterns. Opting for unexpected pieces will help you build a wardrobe that reflects your own personal style. No matter what purpose a tunic serves for you, remember that comfort goes a long way. Our shirts are made with fabrics that not only feel good, but are easy to maintain. Our long sleeve wrinkle free tunics do not require ironing as frequently as many other shirts, so you can wash and wear with as little effort as possible. Other designs are made with flowing fabrics that create more breathability and movement, both of which will make you look great any time of year. 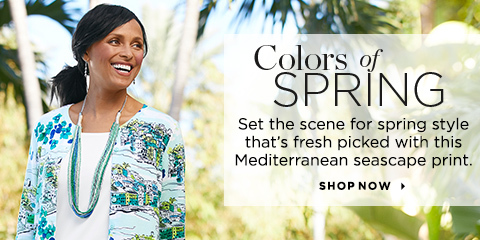 From mid-summer to holiday gatherings, try a tunic top from Christopher and Banks. Having a few options that can be worn in a variety of ways will help you liven up even the most everyday outfits with contemporary style and comfort.